Since the 2016 election, organizations that aim to help women run for office have reported a bump in interest. One of them, California Women Lead, has launched their LEADership Academy effort this year, hosting a series of events with the next one scheduled on May 5 in Sacramento. The training sessions are designed to build "strategies, skills, tools and tactics for women to arm themselves to run for elected office, advance in their career or for personal development." California Women Lead, a bipartisan organization that seeks to identify and recruit women across California to government, either by appointment or as candidates, is lead by Rachel Michelin, executive director and CEO. 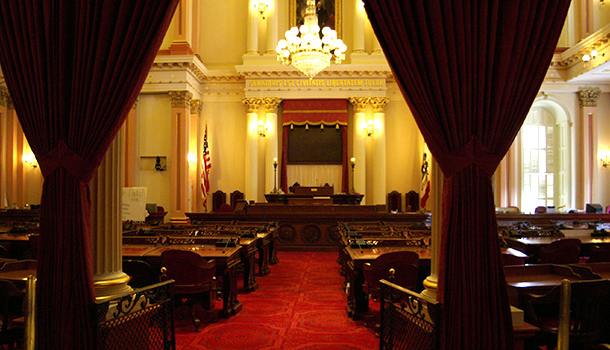 The group releases reports on the status of California women elected to office. Although 2016 saw an increase in the number of women serving in county offices across the state, women hold only 27 of 120 seats in the state Legislature, just 22 percent. You've been working hard to identify and recruit more women from all parties to run for public office. Is it a better environment for women candidates today in California? Yes and no. I think women in California have many opportunities to serve and influence public policy, but in many cases, we do not take advantage of all of the opportunities before us. There are a number of organizations, California Women Lead being one, that focus on giving women the tools to be successful in the political arena, but the biggest challenge I see is we still have a numbers problem – we do not have enough women running for elected office at the state or local level. I also think it is a bit more challenging because the cost of running for office has increased, even at the local level and with more super PACs (political action committees) and IE (independent expenditure committees) playing a bigger role in elections, it is becoming harder for women (and men for that matter) who do not have the political connections to be competitive. I don’t think this should deter women from running – when women run, they can win, but if we want to see the number of women in elected office increase we need to start with a greater pool of women running in each election cycle. California has two United States Senators who are women. The majority of L.A. County Board of Supervisors is made up of women. Yet you've expressed concern that not enough women are running and being elected for the local races. What's the resistance? I think the resistance is more on the part of women themselves. Women are busy – they are working, volunteering, taking care of kids, taking care of older family members. It is exhausting and sometimes the last thing they think of is running for political office. How will they fit it in? I also think we still have a confidence issue. Many women feel like they are not qualified (when we know they are) and that lack of confidence decreases the pool of women running for elected office. Is there a sexism issue at play here? Are men less likely to vote for women or are women less likely to vote for women? I don’t think this is about sexism. Men will vote for a good woman candidate who they agree with on the issues and can connect with. I do think it harder for women candidates to get the support of other women, why, I don’t know. But we did see this play out in the past presidential election - women did not vote for a woman candidate just because she was a woman – issues matter and it still comes down to how well does a candidate, regardless of gender, connect with the electorate. Looking forward to 2018, how we will know that recruiting efforts are making progress? 2018 will be a rough year as there will not be many open legislative seats for women to run in. In the next few weeks, California Women Lead will release our 2017 report on the number of women serving on City Councils. I am hopeful we will see an uptick like we did with the number of women serving on County Boards of Supervisors. We also know we are seeing success as we look at the number of women serving in appointed office in California – half of the appointees in the current administration are women and California Women Lead is committed to continuing that trend with whoever the new governor is in 2018.